In Max Valldeneu’s chest are beating two hearts. His first passion was the blues. He founded La Fulana Blues Band and Mo’ Blues. Later he was the band leader of Artie “Blues Boy” White. Further bands he performed with were The World Band, The Platinum Band and the Tyrone Davis Revue. Under the influence of the guitarists Earl Klugh, Norman Brown, Bobby Broom, Paul Jackson Jr, Lee Ritenour, George Benson and Wes Montgomery he discovered the love for the smooth jazz genre. His debut album It`s About Love (2011) is a confession for his new direction. His new album is entitled Next To You. The first single “Check it out” goes to the radio on March 27th. Buy the new album at Max V’s website. 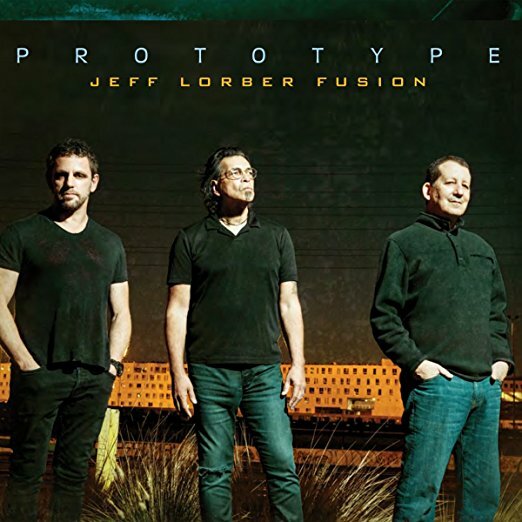 Jeff Lorber is the most sought keyboardist of the smooth jazz genre, but his heart is still beating for fusion jazz. Influenced by groups like Mahavishnu Orchestra, Weather Report and Return to Forever he founded the group Jeff Lorber Fusion and released in 1977 the self-titled debut album. Soon followed Soft Space (1978), Water Sign (1979), Wizard Island (1980), and Galaxian (1981). After a period of solo albums he returned to his centerpiece with Now Is The Time (2010), Galaxy (2011), Hacienda (2013), and Step It Up (2015) on Heads Up Records. Prototype is his first album on Shanachie Entertainment. The new group consists of keyboardist Jeff Lorber, bassist Jimmy Haslip and saxophonist Andy Snitzer. Jeff explains: “I came up with the name Prototype because we are always trying to up our game and come up with new exciting music that could be a prototype or innovative harbinger for the future of our musical style.” The project begins with Hyperdrive, a horn driven funky loaded piece of excellence. The sonic fury of high speed jazz is the ultimate platform for Lorber’s progressive fusion act. Thieme Schipper is a saxophonist from the Netherlands. Together with producer Vahagn Stepanyan he produced this new album in the style of smooth jazz. Also the album features the world famous artists Shweta Subram (Piano Guys) & Bob Reynolds (John Mayer). Thieme comments: “This project has become sort of an experiment for me. We started with a more smooth jazz kind of feel for the album, which was kind of a new area for me. However, in the process of creating the album, other very skilled musicians from the Netherlands and other countries worldwide (India, Canada, United States) joined me in the project. For example: Shweta Subram (Piano Guys) sings a song with Hindi lyrics, Sarah Thawer plays tabla, Ruben Bekx plays a Swiss musical instrument called Hang, Bob Reynolds (John Mayer, Snarky Puppy) plays an amazing soprano saxophone solo in a more Nashville kind of pop song. The sound of the album has become very diverse because of this.” Listen to Who Am I at CDBaby. Japanese saxophonist Motoaki Yasutake has released his new album Great Love. This album is a mix of 12 smooth jazz and gospel tracks. It is 6 years since he recorded his debut album with his mellow sound that continues to evolve. This album is available at Amazon.com. A musician’s musician, platinum awarded bassist Nathan East has performed with Barry White, Eric Clapton, George Harrison, Michael Jackson, Phil Collins, Whitney Houston, Beyoncé, Barbra Streisand and Stevie Wonder. Just the most known stars of music entertainment are mentioned. The smooth jazz genre loves his activity as a founding member of the super group Fourplay. He started his solo career with his self-titled debut album in 2014. 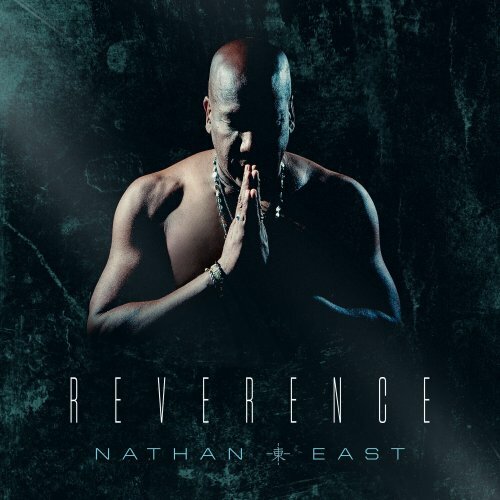 Reverence is his sophomore project released this year on Yamaha Entertainment Group. East invited on his new album such top players like Eric Clapton, Phil Collins, Philip Bailey and Yolanda Adams to name a few. The voice of Earth, Wind and Fire Philip Bailey gives Love’s Holiday an unmistakable and exciting profile. Originally the song was composed by late Maurice White for EWF’s Grammy awarded album All ‘N All (1977). East brings on his rendition the glamour back to shine. Doug Wilde was born into a musical family and raised in Sault Ste. Marie, Ontario. Although initially self taught, Doug was able to talk his way into a few music schools, eventually spending time at The Eastman School Of Music (film scoring with Rayburn Wright), The Royal Conservatory, Humber College and York University (Masters Degree in Composition). During his three years at Humber Doug he studied arranging with the legendary Ron Collier, and was awarded the Duke Ellington Memorial Scholarship. As a composer and one of the principals at “Harris Cole Wilde” (later known as “Jungle Music”) Doug spent many years writing and learning on the front lines—creating all kinds of music, working with great musicians and recording everyday. He also worked as a keyboard player with numerous artists including Leonard Cohen, Jane Siberry, Nancy White, Manteca, Simon Wynberg, and Scott Merritt. Doug has written music for and played keyboards on a couple of thousand TV commercials, most of which aired between 1984 and 2001. Doug currently plays keyboards with David Woodhead’s “Confabulation” and since 2011 has been music director/keyboardist and principal composer for the seminal Canadian Jazz/World/Fusion band “Manteca”. In the last few years, as well as writing for “Manteca”, Doug has been composing and recording for his own “Scenic Jazz” and “Sonic Journeys” projects, and creating scores for Film & TV (documentary, comedy, and variety) and CBC Radio Drama. Doug also has extensive experience as a musical director for live television. He has composed, and led bands for the Gemini & Genie awards, weekly talk/variety shows and Canada Day from Parliament Hill. Doug Wilde lives in Toronto. Rhymes with Reason is his new album now as download only at CDBaby. Junio Karo Karo is a saxophonist from New South Wales in Australia. He studied Jazz Improvisation and Performance at Sydney Conservatorium Art. He works in the big band with James Morrison and Salvation Army. With Let’s Stay Together he created his debut album which will remind you The Motown era. Get his soulful music at CDBaby.